This typically requires a two-stage reconstruction. First, an implanted tissue expander (like a deflated balloon) is put under the skin and chest muscle. Through a tiny valve under the skin, the surgeon injects saline solution at regular intervals to fill the expander over time (up to several months). After the skin over the breast area has stretched enough, a second surgery is done to remove the expander and put in an implant. The most common implants are saline-filled implants (silicone shell filled with salt water) and silicone gel-filled implants. Most recent studies show that silicone implants do not increase the risk of developing immune system problems. The skin, fat and blood vessels are moved from the patient’s belly to her chest. 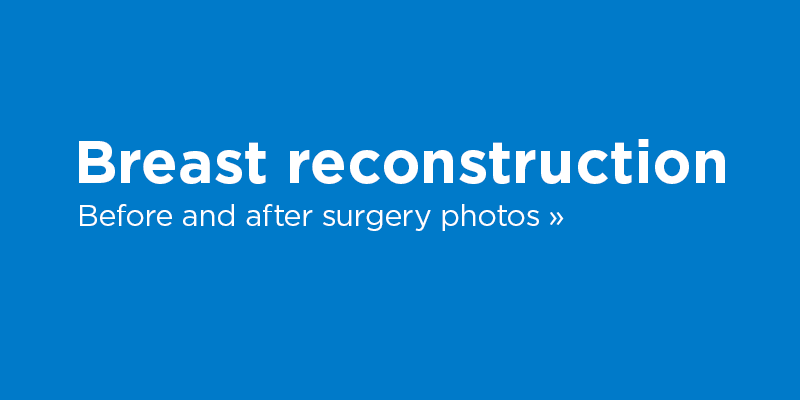 The tissue’s removal gives the patient results similar to a tummy tuck. The scar left behind is usually below the bikini line.The physician then uses a surgical microscope to attach the blood vessels from the new tissue to the vessels in the chest area to give the new breast a blood supply. Implants may not last a lifetime and may need to be replaced later. There can be problems with implants including rupture, infection or pain. Scar tissue may form around the implant (capsular contracture).